National Assembly on Friday approved a resolution condemning the Indian atrocities. 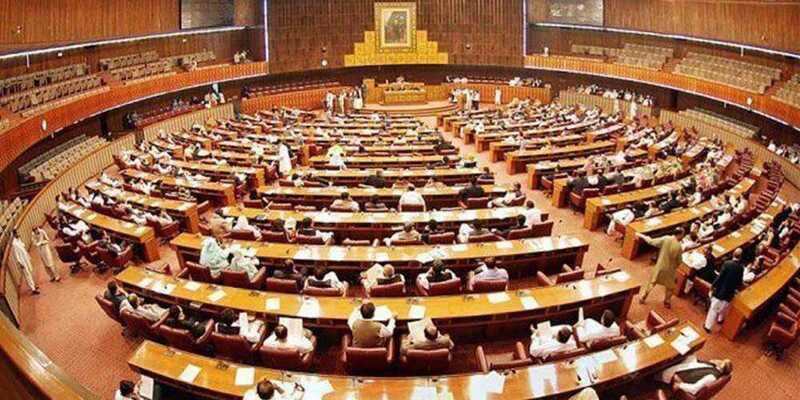 According to the details, in the joint parliamentary session today, the resolution in which the Indian atrocities against Pakistan on the 26th and 27th of the previous month was collectively condemned by the parliamentarians approved in the assembly. The resolution stated that India has violated the UN Charter. The resolution was submitted by Foreign Minister of Pakistan Shah Mahmood Qureshi. While proposing his point of view, he said that the allegations imposed on Pakistan for having safe havens of terrorist is nothing but a lie and Pakistan has strongly rejected the Indian claim of destroying terrorist camps in Balakot. He further added that Pakistan will retaliate if any misadventure will be taken out by India.